After extensive, internal staff discussions and weeks of listening to public comments, including comments expressed during two meetings in Basalt with more than 400 people in attendance, Colorado Parks and Wildlife will reopen the Basalt State Wildlife Area shooting range to the public September 15. 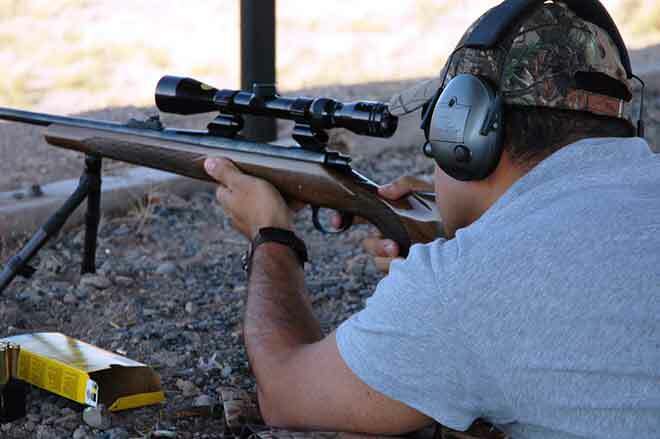 Beginning Saturday, the Basalt State Wildlife Area shooting range hours will be 10:00 a.m. to 7:00 p.m., Monday, Wednesday, Friday, and 9:00 a.m. to 5:00 p.m. on Saturday and Sunday, until further notice. The range closed after two individuals using prohibited incendiary tracer ammunition allegedly started the nearly 13,000-acre Lake Christine Fire the evening of July 2. Both suspects are facing felony arson charges. In preparation for reopening, CPW technicians are in the process of implementing several upgrades at the range, including the installation of fire extinguishers, improvements to the backstop and the permanent removal of vegetation and brush. CPW staff are working closely with the local fire district to conduct a site tour and review all fire mitigation and prevention work performed to date to make sure the range is safe to open. 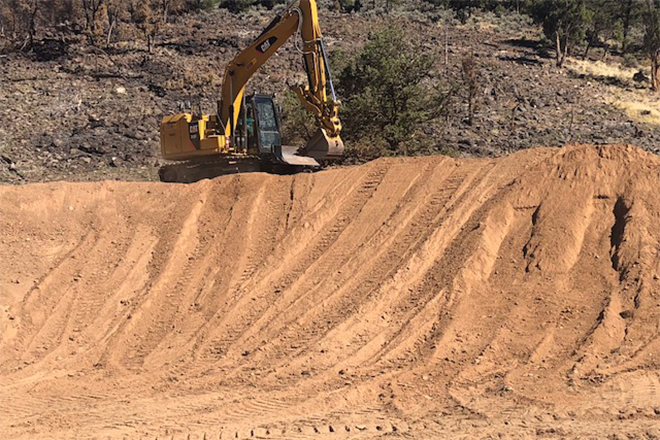 In addition, the agency is working with the Roaring Fork Valley Sportsmen's Association to enlist Range Safety Officers who will help monitor the range during hours of operation. CPW plans additional upgrades in the near future, many derived from input received from the public at the meetings and suggestions from range users. In addition, NW Regional Manager JT Romatzke says CPW will convene a steering committee to continue looking for long term options and solutions and make more permanent decisions in approximately 6 months. "We recognize the concern reopening brings for some, but my decision to reopen the range comes with the consideration for what's happened and our path forward. When the facts are considered, I believe this is the right thing to do," said Romatzke. "The public needs safe, structured ranges where they can use firearms and CPW will respond to that need in a responsible manner." Romatzke says public comments received by CPW were an important part of the decision-making process; however, he took a variety of additional factors into consideration before concluding the range is safe and ready to reopen, including the overall history of the range. He says the range has been in the same location for approximately 70 years and used by several thousand recreational shooters with no incidents until 2012. That year, a two-acre fire burned a portion of the area above the range. An investigation by the Eagle County Sheriff's office indicated a discharged round may have caused the fire. Upon additional examination, CPW officials believe the fire may have instead been caused by a discarded, lit cigarette. "The most recent fire was extremely unfortunate for the community and for CPW, and I truly sympathize with those whose homes were threatened or destroyed," said Romatzke. "I have looked at this from every angle and I've spent countless hours analyzing the facts, emotions and stances of all involved. It's important to take into account how the fire started, how long the range has been here and how many people have used it safely and without incident, many from the time they were kids through adulthood. I cannot in good conscience deny the use of this range to people that follow the rules and use the range as intended, including hunters, Boy Scouts, 4H shooting teams, recreational shooters and law enforcement personnel." Romatzke says going forward, his goal is to make the range safer and for it to continue to be a vital part of the Roaring Fork community while discussions about the future of range continue. Since the evening of the fire through ongoing habitat mitigation work today, CPW has invested approximately 3,000 personnel hours and over $100,000, from the initial response to current work restoring the burned area. The agency says additional work and expenses are still ahead. Agency personnel have also been working with a Burned Area Emergency Response team to look at potential risks associated with the burn area. The BAER team assessment focused on imminent post-fire threats including debris flow from any weather events that could pose a threat to public safety, natural resources or cultural resources. "I firmly believe this has always been a safe range," said Romatzke. To simply say 'close the range or move it,' is not a fair, or workable solution at the moment. That said, I do want to make it clear we intend to work on making it better going forward. We are confident we can and will continue to make important improvements to address concerns." Romatzke says it is important for the public to understand the conservation about the range is not over. "We are still committed to working alongside the residents of this community to find common ground, he said." That includes a discussion about the benefits and the drawbacks of a possible relocation in the future. Our door is always open to those who wish to discuss concerns in a constructive, respectful manner."